Darren Berrecloth has spent his life searching for the ultimate ride. The 35-year-old from Parksville, B.C. is something of a legendary figure in the mountain biking world, having helped pioneer competitive freeriding in the early 2000s. Now, he's on a mission to share the thrill of the downhill with a new generation of adventure-seekers. A new documentary, out next month, follows Berrecloth and three other freeriders from Canada and the United States as they tackle previously unridden terrain in the rugged Tatshenshini-Alsek region in northwestern B.C. Produced by B.C.-based Freeride Entertainment for Red Bull TV and featuring breathtaking footage by Canadian action sports photographer Scott Serfas, Riding the Tatshenshini is part travelogue, part visual love letter to a part of Canada few people ever get to see. 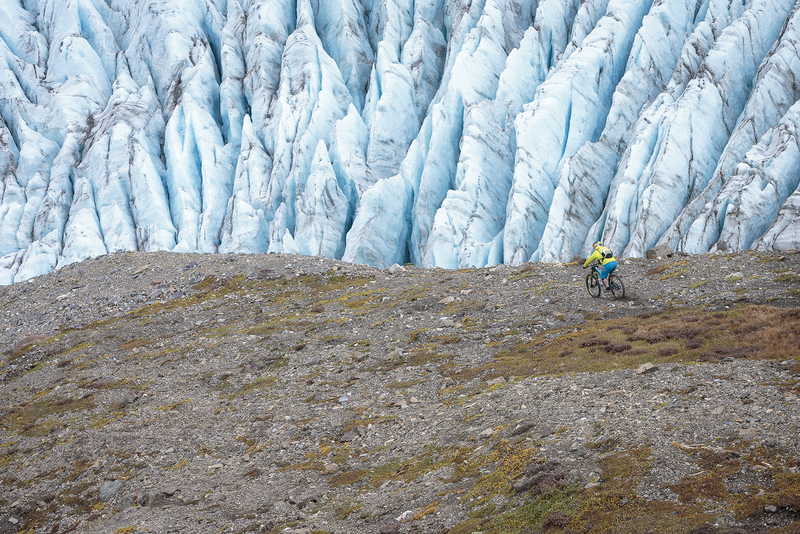 "The B.C.-Alaska border is home to some of the best scenery on the planet — and some amazing riding as well," Berrecloth says. "I hope we inspire people to get their butts off the couch and go outside and play." 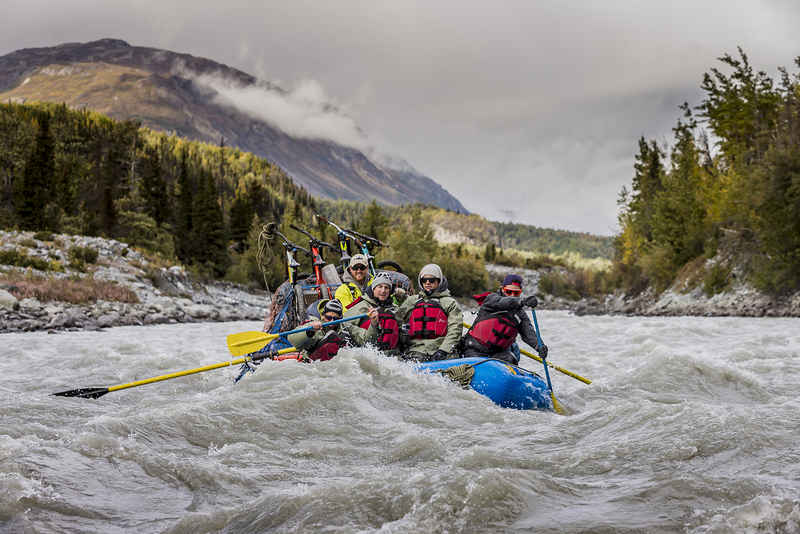 For several weeks in late summer 2016, Berrecloth and fellow riders Wade Simmons, Tyler McCaul and Carson Storch rafted 260 kilometres of the Tatshenshini and Alsek rivers with bikes in tow, searching for challenging lines by day and camping by night. The jagged ridges of the Alsek Range made for some of the most intimidating terrain Berrecloth has ever faced. "Normally when we go to big-mountain areas, we’re searching for dirt, but the majority of the stuff we rode was rocky scree," he explains. "You’re dealing with super-steep slopes with not a lot of control; it led to some interesting moments, that's for sure." The team faced nature's wrath off the slopes, too — Berrecloth recalls one night when their camp was engulfed by a storm on Alsek Lake that blasted them with hurricane-force winds — but also experienced moments of sublime beauty. "Floating the river is such a peaceful, majestic way to travel," he says. "We were constantly reminded of how awesome the place is and why we were doing this." Working with their guides from Canadian River Expeditions, national and provincial parks staff, and representatives of the Champagne and Aishihik First Nations, the production team took care to leave the wilderness as pristine as they found it, packing out all waste (yes, even human) for proper disposal. "There's so little dirt, you don't even really leave bike tracks," Berrecloth says. "You’d never know that people were there." The film marks something of a turning point for Berrecloth, who recently stepped back from the competition circuit to focus on projects like Riding the Tatshenshini and his adventure travel company Global Epix, which offers bike tours guided by pros. He hopes to continue to push the boundaries of his sport and inspire young mountain bikers by riding and showcasing remote corners of the planet. "I've had a pretty awesome career and I'm still loving it," he says. "I’m always searching for the next amazing place to go ride my bike." Riding the Tatshenshini will be available on demand starting October 18 on Red Bull TV and Telus Optik.